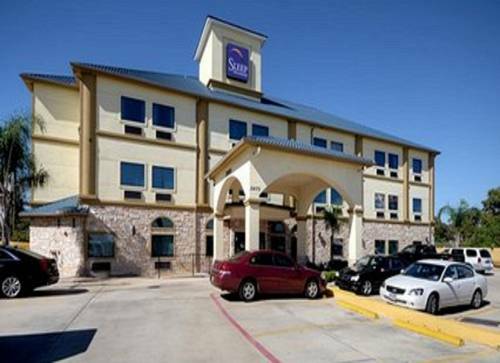 Dream better at our Designed to Dream Sleep Inn and Suites Near Downtown North in Houston, TX. Enjoy a convenient location to the Houston Toyota Center, Minute Maid Park, Memorial Park, the Galleria Mall and te George Brown Convention Center. Our hotel also offers a free continental breakfast, free WiFi, free parking and an exercise room. Enjoy one of our guest rooms, all of which are inspired by nature to help you relax. Each room comes equipped with a hair dryer, coffee maker, iron and ironing board and refrigerator. Start earning rewards points with your next stay when you sign up for our Choice Privileges program.